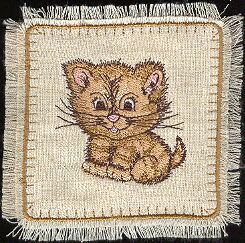 This embroidery collection consists of five basic designs, six applique designs, three borders and one plain applique in the style of rough patch. All designs fit 4x4 hoop. I have used the appliques with big success for various projects as you can see below. I did towels, gift sachets, patches for ragged knees on jeans or as pockets, on pillows etc. You can also make the patches for your stockpile when you have spare time - they will always come handy as quick repair or quick gift. 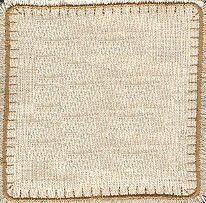 You simply use white cotton or white flannel both as bottom and top fabric and trim all the leftover fabric after you are finished. Now you have patch that can be later sewn on anything. 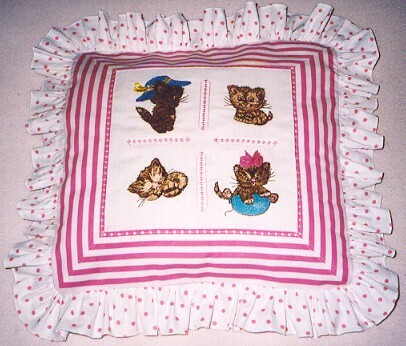 Three border designs are added to be used as dividers for various projects - pillows, quilts or cute baby gauge. I made the above shown bags as gift bags for candy or various small gifts for kids. I used four designs plus one of the borders for this cute pillow. Final embellishment was done with built-in stitches on my Pfaff 7570. 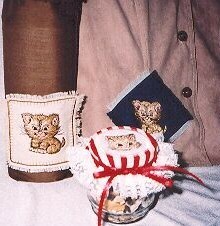 More projects - bottle cover, jeans applique on ultrasuede vest and gift jar with candy or dried fruits and nuts. Embroidered baby bib is a gift for a newborn. 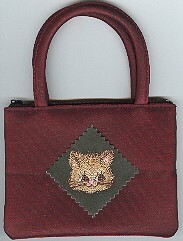 Little handbag I did for my niece is embellished with the free design embroidered on the scrap of leather.